What Crazy Video Game Dreams Would You Realize if You Had All the Money? In today's dream-fueled episode of Speak Up on Kotaku, amazingly-named commenter Mr. Allspark wants to give you all of the money in the world, hypothetically. I have a question for you. What kind of nerdy/video game related things would you do if you were rich? And I'm talking rich. 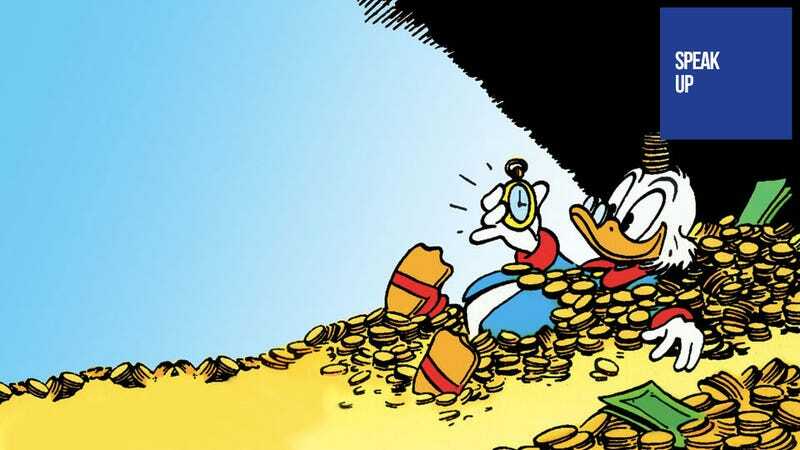 That Scrooge McDuck swimming-pool-full-of-gold rich. Richie Rich my-dalmation-has-goddamn-dollar-sign-spots rich. Jay-Z "What's 50 grand to a mothafucka like me, can you please remind me?" rich. The possibilities are endless, so the question is... what would you do?